What have blogs, pay per click, banners, search engine optimization, link building, article posting, social media and autoresponders got in common? They are all forms of online marketing and ways to make money as an affiliate promoting health affiliate programs. Blogs are so easy to setup now with the advances of wordpress and other blogging platforms. You don’t even need to buy your own domain to run a blog but it would help to show your authority on your chosen niche or subject if you owned the domain. Post 5-6 articles on your blog to get it started and add a few backlinks from other high ranking sites to get your blog indexed by the search engines. You can then build your blog traffic by obtaining more backlinks and posting more content every so often. I’ve found that posting at least one good article each month is a minimum if you want to keep climbing up the ranks of the natural search engine results. You could write a few reviews of the health or beauty product you are promoting from the health affiliate program directory. 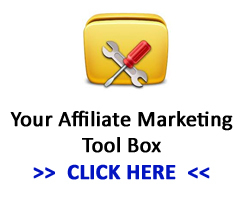 Then add a few banners and and your affiliate links from your blog to the health affiliate offers. If you are going to be buying clicks from a Pay per click advertising program like Adwords or Bing/Yahoo posting content on your blog with get you a higher quality score. It’s also a good idea to build your own email list and write about 5-10 autoresponders to send out once each week to your email list. You could add a popup on your blog or simply ad an optin form on your blog and ask for the name and email in exchange for a small gift. Your gift could be more information, a video, anything that your visitor might want in exchange for their email address. Once you collect the email address in a program such as Aweber and with permission, you have many more chances of promoting your health affiliate program offers by email over a period of time, rather than the one time the visitor was reading your blog. Re-writing your articles and posting them to article directories is a great way of building external content and links back to your blog. You can even post to video sites like Youtube and add links back to your blog site. This will create a link-wheel which can give your blog more authority in the SERP’s. More importantly your articles on your blog should be compelling and be written in a way that pushes the emotional buying buttons. This is a way to prime your reader into buying the health product you are promoting. This entry was posted in Health Affiliate Program and tagged Health Affiliate, make money as an affiliate on February 2, 2011 by Admin.